DALLAS -- There are now at least 63 deaths related to Hurricane Harvey after it dumped several feet of rain on southeast Texas in a matter of days, CBS News confirmed Monday. CBS News also confirmed that Harris County -- which is home to Houston and saw the worst flooding during Harvey -- has the highest death toll with 30 Harvey-related deaths. Many of those deaths confirmed in 11 Texas counties happened when people were caught in quickly rising floodwaters or lost control on water-logged roads, emergency management officials said. Six family members including four children were killed when a van they were riding in was swept into a bayou as floodwaters rose in Harris County. 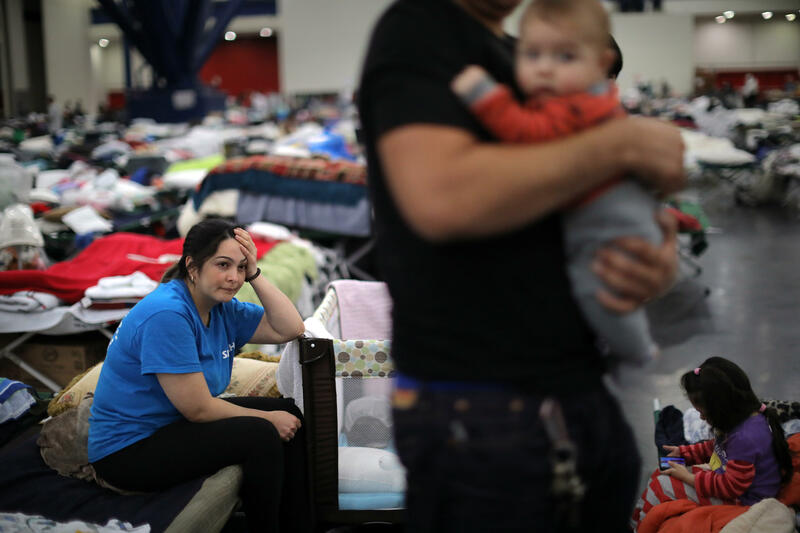 But county emergency management departments tell The Associated Press they are including people in their storm-related death totals who died from indirect complications of Harvey. Concerns over flooding in area that's been called America's "Chemical Coast"
The huge dump of water loosened the ground around trees that have fallen into at least two homes in Montgomery County, causing two deaths, said county emergency management spokeswoman Cynthia Jamieson. And the Texas Department of Public Safety confirmed that a couple had died while driving outside of Jasper, Texas, when a tree landed on their vehicle. Power outages from the storm have also accounted for some of the indirect deaths. Several elderly people in a handful of counties were reported as Harvey-related deaths when medical equipment such as oxygen tanks lost power. Officials said floodwaters have caused delays in responses to medical emergencies that resulted in deaths as well, including the first death reported in the storm -- a man who died in a fire in Aransas County. Another person died of a heart attack Sunday in Montgomery County, as rescue workers were delayed in getting to his address by road and flood conditions left by Harvey's massive rainfall. Some Houston officials stressed that the recovery from Harvey was beginning, and Mayor Sylvester Turner proclaimed America's fourth-largest city "open for business." But with areas under water, people not yet in their homes, and billions in damage to repair, major disasters that Harvey created are by no means resolved. President Donald Trump has asked Congress for a $7.9 billion down payment toward Harvey relief and recovery efforts. Texas Gov. Greg Abbott suggested the cost of recovery could be as much as $180 billion.